Various modern methods for testing soils are developed in recent years and as well stability analysis techniques improved. Various dynamic testing facilities invented that help us to take decision a soil slope either it is safe or unsafe under both static and dynamic loading. Before learning analysis techniques we have to realize the factors that lead to failure of a soil mass. Failure of soil mass may occur along curved or plane surface. 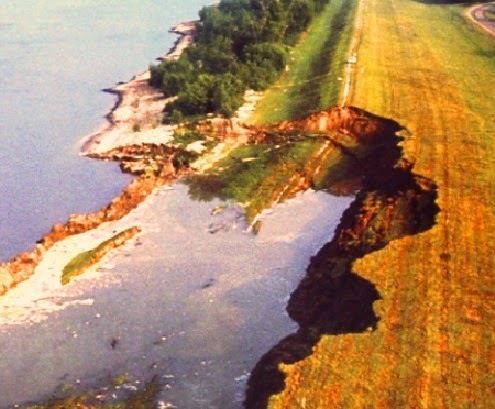 When a soil mass (considerably large) slides relative to remaining mass, failure is commenced. Usually an outward and essentially downward movement of soil mass is observed. The factors discussed above (two types) actually are of same sources i.e. when water content increases, stress is increased with simultaneous decrease in strength of soil mass and due to this natural slopes are commonly failed in rainy season.